Kidaptive, the maker of children’s educational iPad applications with a curriculum focused on Kindergarten readiness, has now released a new app designed just for parents. Called “Learner Mosaic,” the app offers parents personalized insights into how well their child is progressing based on their behavior and activity within Kidaptive’s applications, and soon, within other third-party applications that tie into the platform, as well. The idea is to create a platform where educational apps for kids can actually assess how well they teach children the skills they claim to, and then provide parents with a toolkit to understand where their child is in terms of that skill development. Learner Mosaic then offers tips and activities for parents so they can get involved to help their child progress further. 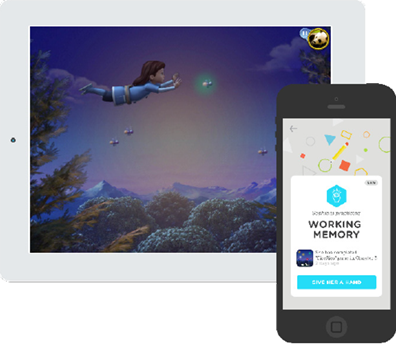 Founded in 2012 and backed by $10 million in funding, Kidaptive’s apps combine high-quality animation to tell stories which include interactive puzzles and activities for young children to play in order to move the storyline forward. Prana Studios, an animation and visual effects studio co-founded by Kidaptive co-founder and CEO P.J. Gunsagar, is an investor in the startup which is how the company is able to craft animations that look a lot like what you would see on children’s TV. Kidaptive’s approach has always involved promoting a serious curriculum disguised as fun. My own in-house beta tester, who is turning 5 next week, has been playing the apps for some time now and is surprisingly not bored with them yet. Just yesterday, for example, she started Kidaptive’s “Leo’s Pad” over from the beginning and was busy coloring a picture within the app this morning at breakfast. The flagship application features a number of activities that take place in a series of “appisodes” which parents can buy as in-app purchases, or purchase in bulk for $25. There are now seven of these appisodes available, which tell the story of a young boy Leo, his friends, pet dragon and their adventures. The new Learner Mosaic app assesses where the child is in terms of the over 25 skills essential to early learning which are presented in Kidaptive’s Leo’s Pad app, and provides parents with insights and tips about their child’s strengths as well as where they’re struggling. Beyond just accumulating the data, Learner Mosaic is about getting parents engaged with the child to help them improve their skills through offline play and other real world activities. For instance, the app may tell a parent their child is working on “planning and sequencing” skills, and suggests a game parents can play with kids using colored blocks that can help to reinforce this skill set. It tells parents when kids hit a certain milestone, how they can foster her interests, and it shares other items pulled from Leo’s Pad, like the drawings the child made. “When we see a moment of learning for a child through Leo’s Pad that deserves special attention from parents so that they can further enhance their child’s learning or engage in a conversation, we’re giving parents an answer to the ‘what next’ question,” explains Gunsagar. “It’s like a personalized preschool teacher in the pockets of busy parents,” he says. Parents can also input data into Learner Mosaic to provide it with more information, and in turn, Leo’s Pad difficulty levels will adapt as children play and master their skills. Gunsagar says the company is now working with two other kids’ app developers to integrate with the program, one of which is in testing and the other which has proceeded to the integration phase. The company doesn’t disclose revenue but is at nearly 1 million users across its apps, and sees nearly half that in terms of monthly actives. Longer-term, Kidaptive wants to expand its program to be a bridge between parents and teachers, Gunsagar says, but for now the focus is on getting parents on board. Learner Mosaic is a free download here on iTunes.